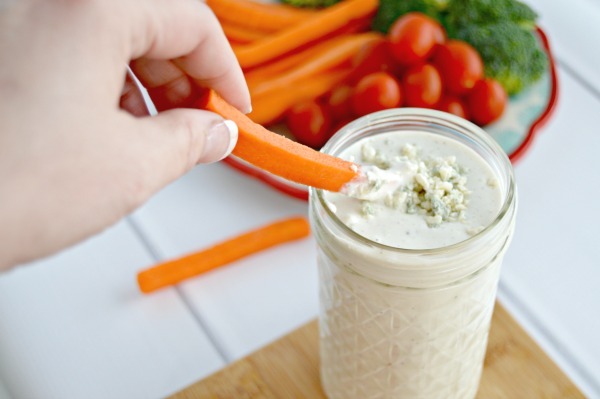 Blue cheese dressing is one of my favorite salad dressings. I use it as a vegetable dip, on salads, to top burgers and steaks and for dipping chicken wings in too. I’ve always wanted to make my own, so when I got my new Blendtec blender, it was the first thing I tried. 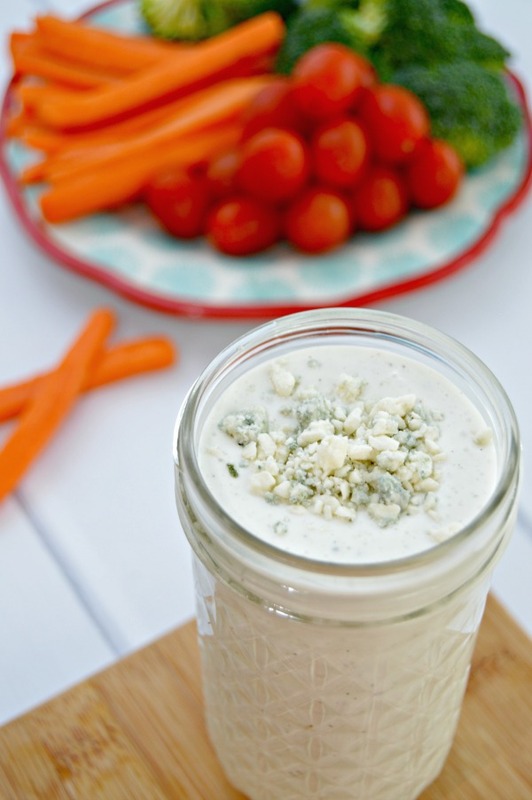 This homemade blue cheese dressing is soooo delicious and easy to make too. Store bought dressings usually contain tons of preservatives which is why they can stay on the shelves and in our refrigerators for a very long time. Too long of a time in my opinion. And what is even in them? I’ve been on a mission to make as many marinades, dressings and sauces as I can on my own, from scratch. You guys! They taste sooo much better this way and aren’t full of fillers, preservatives and MSG. 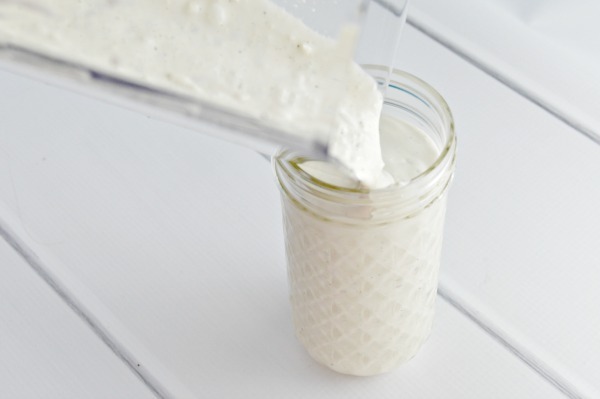 I feel really good about making more of the food that I am feeding my family using fresh, whole ingredients, and this blue cheese dressing is my favorite right now! I can honestly say that I have NEVER had better! I make it in a blender so all of the ingredients get mixed really well, but it isn’t necessary to use a blender if you don’t own one. Just use a large bowl and mix well before using. Add all ingredients to your blender and pulse 5 times or until blended to the consistency that you prefer. Use immediately or store in your refrigerator in an airtight container. 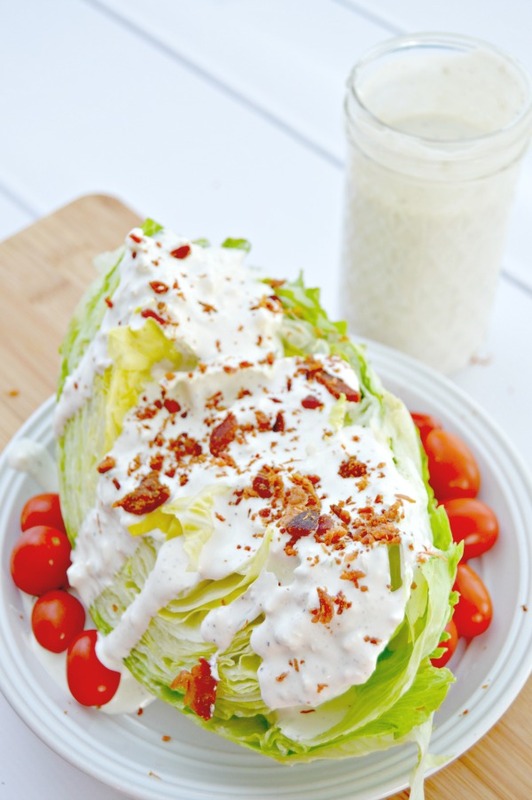 Enjoy on salads like my favorite wedge salad pictured above, with hot wings, on a black and blue burger, drizzled across a medium rare steak or as a delicious veggie dip! Have question tho, how long will it keep in fridge ? Hi! I usually keep for about a week. Hope you love it! My recipe is very similar except I like to melt part of the blue cheese so that it incorporates better in the dressing. I tried it and liked(no loved) it a lot since I cannot get any good salad dressing here in northern Germany I will be makeing this alotttttttt Thank You very much. ??????????? ?